Feeling overwhelmed and at your wit’s end is a natural side effect of having a newborn baby. If you feel like that sometimes do try to ask for for someone you trust. Most people will know someone who would be very happy to cuddle a new born baby for two hours while you have a nap. Or to bring you some dinner, do your washing, or just give you a hug and a listening ear. However, for some of us it all becomes much darker than the baby blues. No amount of sleep or help seem to lift these feelings. Being overwhelmed may turn quickly into a constant sensation of anxiety. You might feel you’re not enjoying anything, including your baby. You watch others coo over him or her and feel at a distance; lost. You may even feel negative emotions towards your baby and not feel bonded at all. At these times many women (and men) are scared to tell anyone. They are ashamed of their feelings. Perhaps you’ve wanted a baby for years and now it’s here and you just feel empty. But you must tell someone; a friend, your partner, a health visitor or GP. In the vast majority of cases you will be met with sympathy and support. You’d be surprised how many other women across the world are feeling the same as you. Below are a few places you can get information and help. If you know of others please let me know and I’ll add them. First and foremost, if you feel unsafe with yourself seek help immediately. If you are afraid to be alone because you feel life’s not worth living, or you don’t feel confident that you can care for your baby don’t wait until it gets even worse. 24 hours a day, 7 days a week, you can always go to A&E (ER). That’s what I did and I was seen quickly by very sympathetic mental health nurse who offered me some brilliant options for support. These people have seen it all and you shouldn’t be judged or dismissed, so always know that that is an option. Mind have a lot of resources on their website if you are are afraid of how you’re feeling and/or feel vulnerable to self-harm. There are distraction games, questions to ask yourself, techniques to try. Just click on ‘I need urgent help’. They do also have a very detailed and easy to use postnatal depression page. The NHS website is great source of information for all sorts, the video about postnatal depression on this page is informative and reassuring. Many of us develop postnatal depression due to our experiences of and feelings about childbirth. The Birth Trauma Association has a great website with information about seeking support and better understanding of what happened during the birth of your child. Supervisors of Midwives now exist in all hospitals in the UK. If you feel you’d like someone to sit down with you and go through the notes on your birth that is always an option, you can just ring the hospital and ask. SoMs are good people to talk to if you want to give feedback as well. My husband and I did that and I found it really helpful. PANDAS (pre-and postnatal depression advice and support). Exactly what it says on the tin! postpartum.net is a very detailed site based in the US but offering international information. 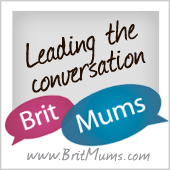 They offer conference calls for mums and dads and have a free information line. Call this number if you think you might need to go to A&E or need health advice but don’t want to talk to you GP. Lines are open 9am-8pm every day. lines are open 10am-2pm Monday-Friday. 24 hour access to a listening ear.